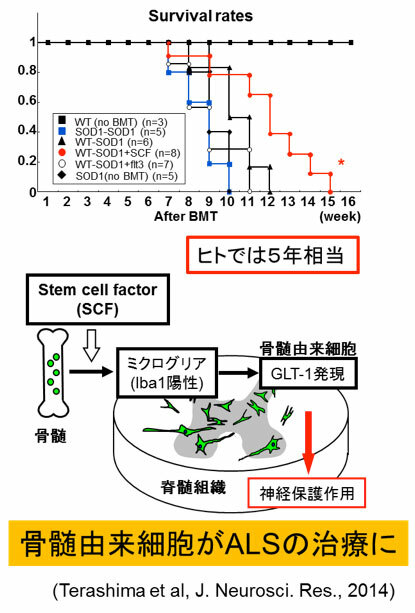 Terashima T, Kojima H, Urabe H, Yamakawa I, Ogawa N, Kawai H, Chan L, Maegawa H.
Stem Cell Factor-Activated Bone Marrow Ameliorates Amyotrophic Lateral Sclerosis by Promoting Protective Microglial Migration. 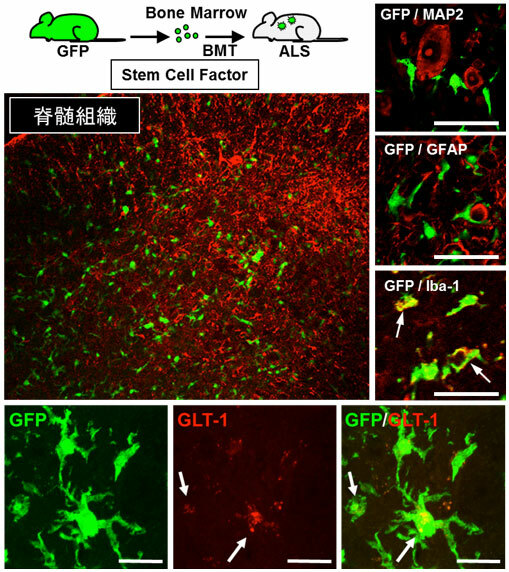 J. Neurosci. Res. 92: 856, 2014. 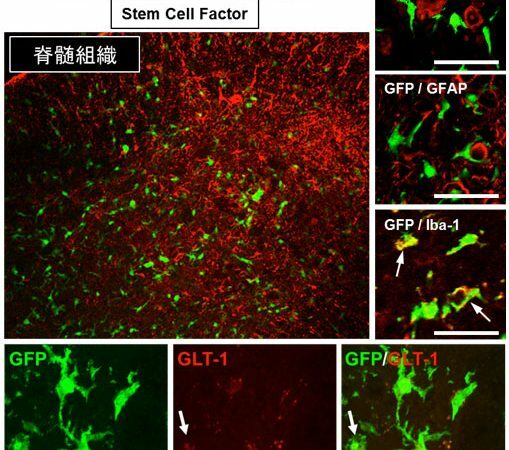 Terashima T, Nakae Y, Katagi M, Okano J, Suzuki Y, Kojima H.
Stem cell factor induces polarization of microglia to the neuroprotective phenotype in vitro. Heliyon. 4(10):e00837, 2018.